Today’s guest is Megan Nosol. Megan is extremely knowledgeable in the world of head and neck cancer. She is super intelligent, and has not only skimmed the literature, but she really dives in and thinks critically, and relays it so well in to her clinical practice. Megan is a graduate of the the University of North Carolina at Chapel Hill. Since graduating, Megan has been a clinician in the skilled nursing, outpatient rehabilitation, and non-profit organization settings. She has also taken 36 credit hours of additional pre-medicine coursework and has a strong research background. 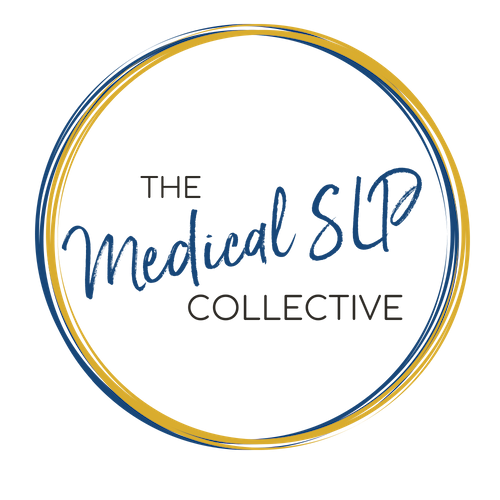 Currently, Megan is a SLP at STEPS for Recovery, an outpatient clinic, where she treats adults who have trismus, an array of communication disorders, and dysphagia. She is also a Board Member of the non-profit organization, Lary’s Speakeasy, which provides laryngectomy supplies, support, and educational resources to laryngectomees and their caregivers. Megan is the founder and co-trainer of the ARK-J Program: Trismus Intervention Certification Course for SLPs. Additionally, Megan is the creator of the website, www.SpeechTherapyToolbox.com, which is a resource for patients and caregivers of communication and swallowing disorders. In this episode, we discuss the ABCs of HNC, and Megan gives you a great general knowledge base about treating HNC. Don’t forget to download the show notes for this episode, and thank Megan for giving you tons of great info and references to check out. Download Ep. 008 Show Notes!